“Over the next five years, we expect a reduction of 7,000 jobs,” many coming from early retirement, CEO Nobuaki Kurumatani told reporters in Tokyo. Toshiba also expects to scrap or consolidate some factories and reduce its subsidiaries by 25 percent—announcing the withdrawal from a US-based liquid natural gas business and the liquidation of NuGen, a nuclear subsidiary in Britain. Still, the firm’s share price soared, closing up more than 12 percent on the Tokyo stock exchange, mainly due to the announcement of a share buy-back programme. 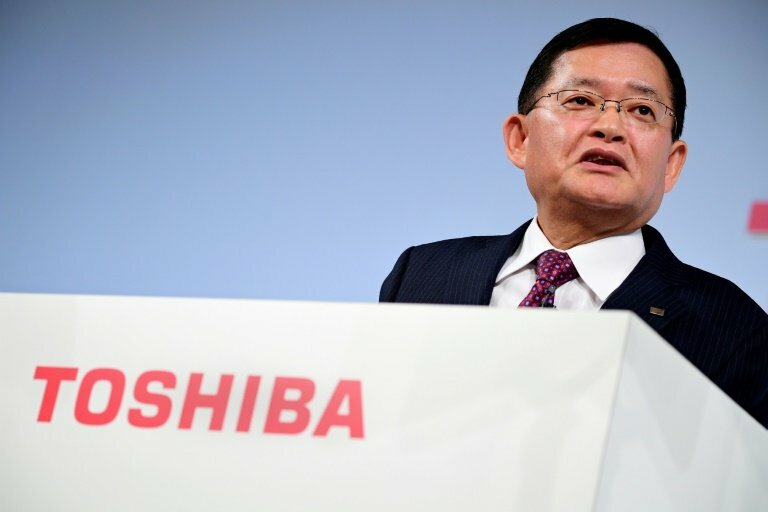 The sales of the memory unit continued to boost Toshiba’s net profit, although the firm’s operations remained under pressure. For the six months to September, the company’s net profit stood at 1.08 trillion yen, reversing a net loss of 49.8 billion yen seen a year earlier. First-half sales came to 1.78 trillion yen, down 5.1 percent from a year ago.